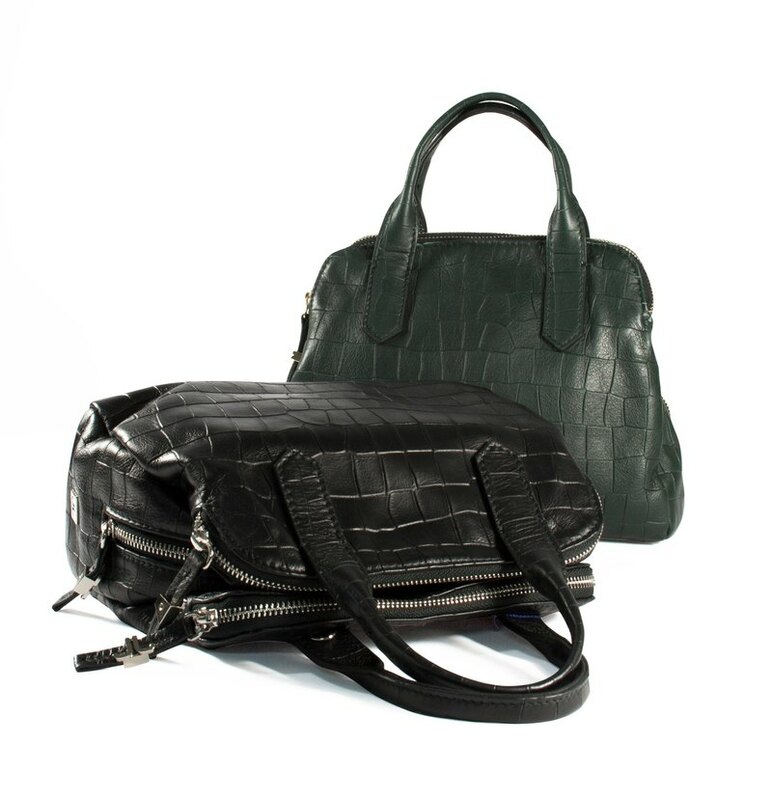 /Product desciption/ Italian leather is durable and can accompany you for a long time Bowling bag shape, three layers for easy storage Top nappa leather soft with matte finish With strap can be adjusted freely Length Shoulder or Shoulder One zipper inner pocket /Product specifications/ ○ Color: Black/Dark green ○ Material: Top nappa imitation crocodile embossed ○ Place of Origin: Italy ○ Width: about 23cm wide X about 19cm high X about 10cm thick ○ Bag: about 9cm ○ Full length of strap: about 124cm https://farm5.staticflickr.com/4306/36019598855_4ac1596571_k.jpg https://farm5.staticflickr.com/4329/35629977890_acaf9fe20c_k.jpg https://farm5.staticflickr.com/4315/35629971200_5f2d77ae14_k.jpg https://farm5.staticflickr.com/4299/35179943284_c72aa6a1b9_k.jpg https://farm5.staticflickr.com/4317/35885990411_ef7f4e6fe0_k.jpg / intimate reminder / ○ Product colors may vary slightly depending on the personal computer screen. ○ Leather products, like human skin, have normal conditions such as scars or lines. It is also a unique attraction for leather goods. ○ Avoid rain, use the included dust bag to keep it well, and store it in a dry, low-humidity, well-ventilated place.